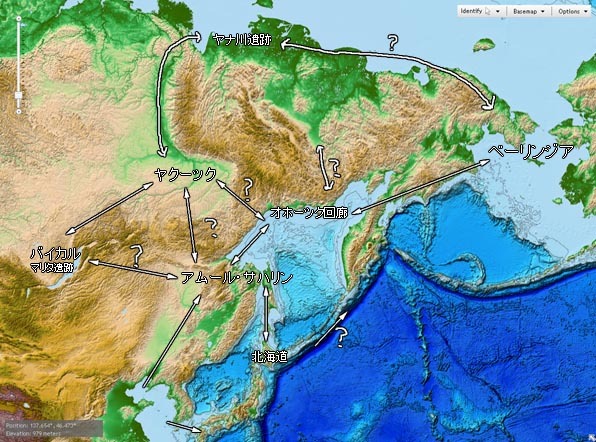 末尾F (Fedorova 2013) Autosomal and uniparental portraits of the native populations of Sakha (Yakutia): implications for the peopling of Northeast Eurasia. 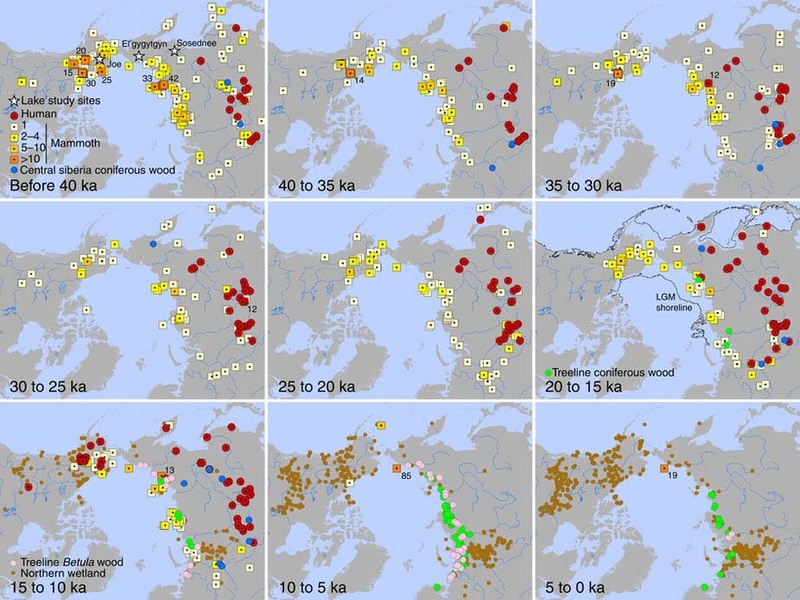 末尾Dg (Duggan 2013) Investigating the Prehistory of Tungusic Peoples of Siberia and the Amur-Ussuri Region with Complete mtDNA Genome Sequences and Y-chromosomal Markers. 末尾H (Hammer 2006) Dual origins of the Japanese: common ground for hunter-gatherer and farmer Y chromosomes. 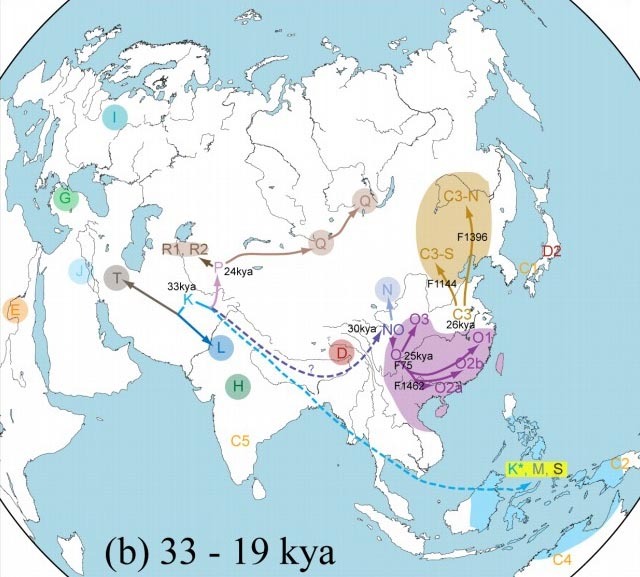 末尾X （Xue 2006） Male Demography in East Asia: A North–South Contrast in Human Population Expansion Times. 末尾T (Tajima 2004) Genetic origins of the Ainu inferred from combined DNA analyses of maternal and paternal lineages. 末尾K (Kharkov 2014) Gene Pool of Buryats: Clinal Variability and Territorial Subdivision Based on Data of YChromosome Markers. 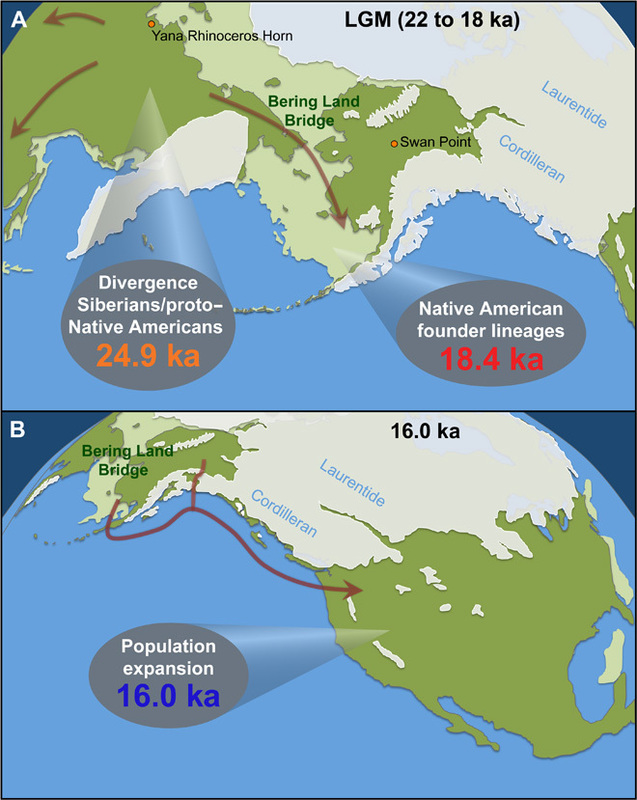 末尾DL (Dulik 2012) Mitochondrial DNA and Y Chromosome Variation Provides Evidence for a Recent Common Ancestry between Native Americans and Indigenous Altaians. 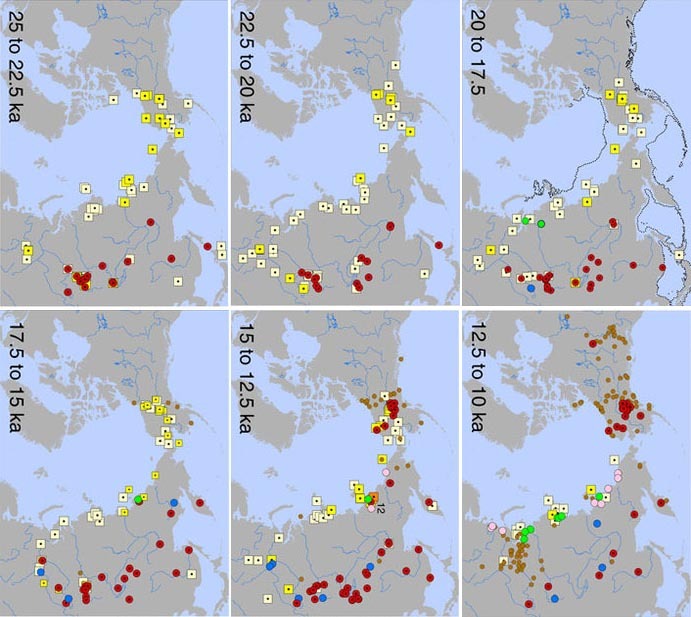 最後の、末尾にアルファベットを付けていないロシアのデータは(Kushniarevich 2015) Genetic Heritage of the Balto-Slavic Speaking Populations: A Synthesis of Autosomal, Mitochondrial and Y-Chromosomal Data.